Part No. RP-1250 In Stock FedEx orders placed in the next 4 hrs, 38 mins ship today. 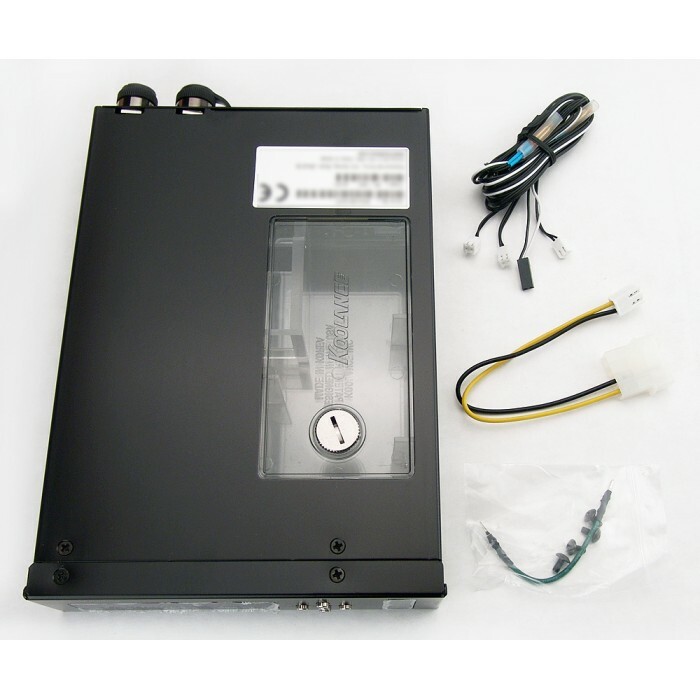 The RP-1250 is a combined reservoir and pump unit which fits into a single 5.25" (CD) bay. 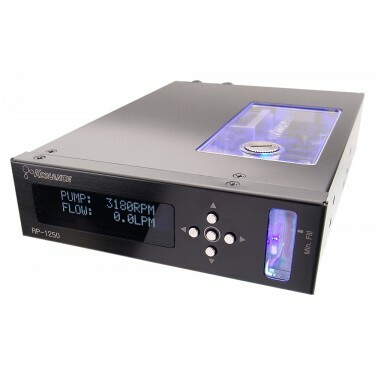 Featuring the powerful Koolance PMP-400 pump, it also includes temperature monitoring, a front display, reservoir, pump & fan speed control, and rear G 1/4in threaded fitting sockets. This unit incorporates all-new Koolance electronics, with a 2-line OLED display for deeper user control and feedback. 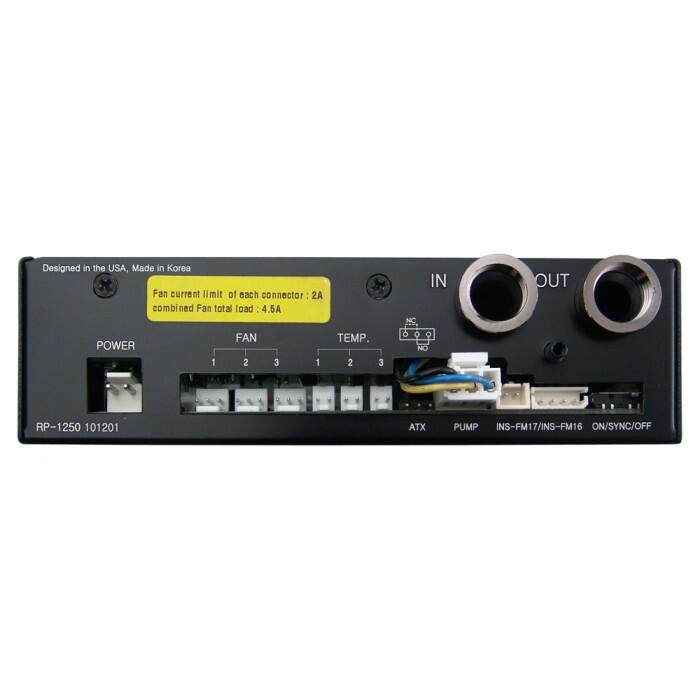 The RP-1250 has three 3-pin fan outputs. To connect more fans, simply add them together with a wiring harness.